The Knaggs Influence Honga model is a double cutaway with a contoured top and back, three on a side headstock, and a 24.75″ scale. 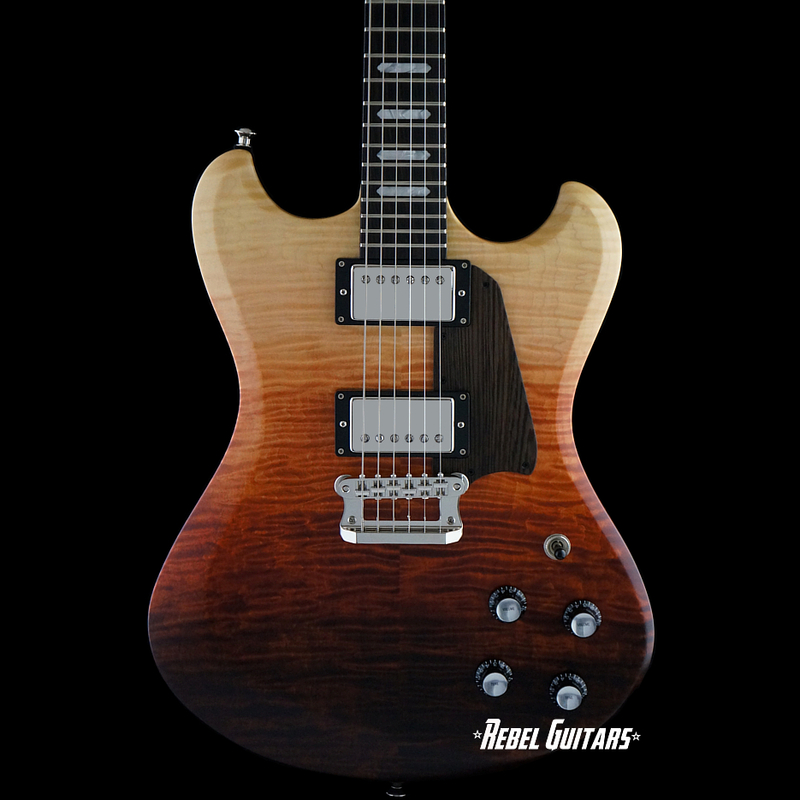 Designed and built by famed builder Joe Knaggs, the Honga features a one-piece slim Mahogany body with a Maple or Maple/Sapele top, one-piece Mahogany neck, Rosewood or Ebony fretboard, dots or Knaggs block inlays, Seymour Duncan or Jason Lollar pickups, and Knaggs’ proprietary Influence hard-tail designed to allow for increased string vibration and sustain. 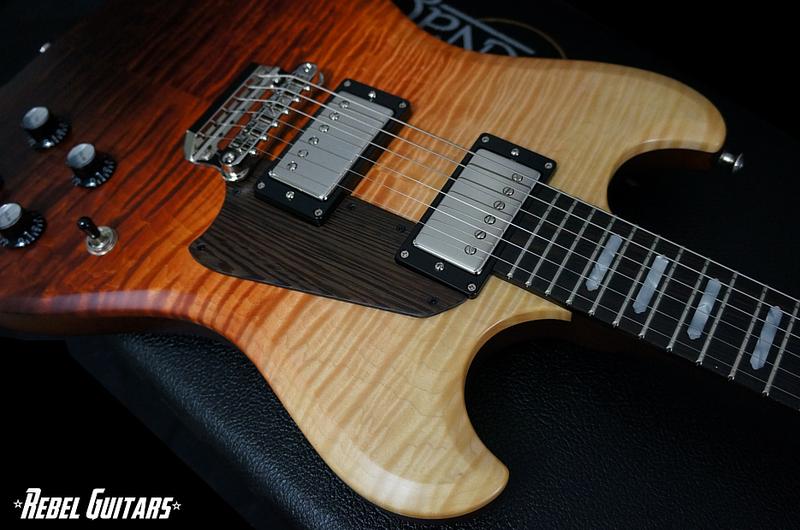 Like all Knaggs models, the Honga is available in three tiers and a variety of color options. 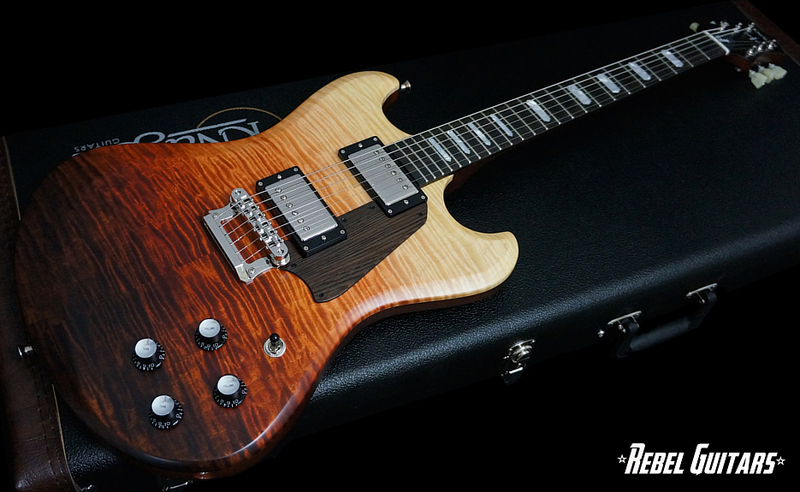 This T2 Honga features a semi-gloss Wicked Burst finish over a Tier 2 Curly Maple top. Other specs include; a one-piece Mahogany body, one-piece Mahogany neck, Macassar Ebony fretboard, Block inlays, Wenge pickguard and Seth Lover pickups. Weighs only 6.6lbs. Includes COA and Hardshell case.